Our coalitions in the United States take action to provide proven and practical ways to keep kids safe. 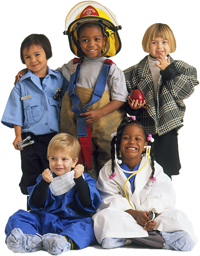 They host safety events, conduct workshops in everything from schools to hospitals, advocate for effective legislation, and distribute safety devises such as car seats, smoke and carbon monoxide alarms, helmets, and personal floatation devises. Just as important, they also teach parents, caregivers and children how to use these important resources correctly. The best news is that there is a good chance there is one near you. To get involved or to learn more about what our coalitions are doing in your community, please click on your state listed below. To find out more about events in your area, go directly to our events section.